Last week, the Supreme Court in a ruling of 2:1 declined to refer to a larger bench the question whether a mosque is an essential part of Islam. The order was passed in one of the petitions (M Siddiq versus. Mahant Suresh Das) filed in connection with the ongoing Babri Masjid/Ram Mandir case (the Ayodhya land dispute) on the issue whether the 1994 Supreme Court ruling in Dr. M Ismail Faruqui versus. Union of India (a case concerning the acquisition by the Indian government of land on which the Babri Masjid once stood) that a mosque is not an essential part of Islam needed to be reconsidered by a larger bench. Ismail Faruqui involved the issue whether acquisition of religious places such as mosque, temple etc. by the State was violative of the right to freedom of religion under Article 25 of the Constitution. The Supreme Court, in this case held that the acquisition of a religious place where prayers are offered is not unconstitutional unless that place has a special significance for that religion so as to form an essential part of that religion. Justice Nazeer, the dissenting judge in M Siddiq case, referred to the constitutional tests (such as essentiality and integrality) to determine whether a practice/belief forms an essential part of a religion. While the majority held that a mosque cannot be considered an essential part of religion, it is interesting to note the majority opinion which leaves room for a mosque to be considered an essential part of Islam in certain cases. It is worth exploring the constitutional tests for determining the essential practices/customs of a religion and the circumstances in which a mosque could be considered an essential part of Islam. Justice Nazeer relied on the Supreme Court judgment in The Commissioner, Hindu Religious Endowments, Madras versus Lakshmindra Thirtha Swamiar of Sri Shirur Mutt (1954 AIR 282) in which the court held that what constitutes an essential part of a religion must be determined with reference to the doctrines of that religion. Justice Nazeer’s observation that Ismail Faruqui should be brought in line with the court’s ruling in Shirur Mutt is based on this that the court in Ismail Faruqui did not delve deeper into the evidence whether a mosque is essential to Islam. For instance, one could argue that congregational prayers are central to Islam, therefore, a mosque is essential to Islam as a mosque is a place for offering congregational prayers. In AS Narayana Deeshitulu versus. State of A.P (1996 (9) S.C.C 548), the Court confirmed that the essential or integral part of a religion must be determined from the doctrines of that religion “according to its tenets, historical backgrounds and change in evolved process”. In Ratilal Panachand Gandhi versus State of Bombay (AIR 1954 SC 388) which was decided about a month before Shirur Mutt, the court laid down that the yardstick for determining whether a religious practice is essential would be the doctrines of that religion. 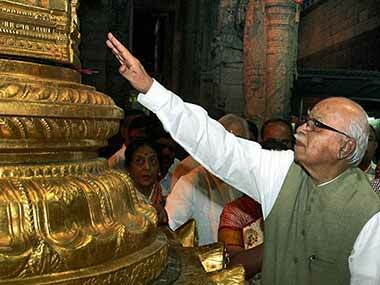 Under Article 25 of the Constitution of India, all persons enjoy the right to freely practise their religion. The ‘essentiality’ test was evolved by the Supreme Court to determine whether a religious practice was protected under Article 25. The difference between an essential and non-essential religious practice is crucial inasmuch as an essential practice of a religion is beyond interference by the State and subject only to the restrictions on the basis of the grounds contained in Article 25. On the other hand, a non-essential religious practice is not a fundamental right and can be restricted by the State on any reasonable ground. For instance, the Supreme Court applied the test recently to conclude that the ban on the entry of women (in the age group 10-50 years) in the Sabarimala temple was not an essential practice of the Hindu religion and therefore, the ban was liable to be struck down. In Amnah Bint Basheer versus Central Board of Secondary Education (W.P. (C) No. 6813 of 2016 (B)), the Kerala High Court held that the CBSE dress code proscribing hijabs was unconstitutional as wearing of hijab by Muslim women is an ‘essential part’ of their religion. 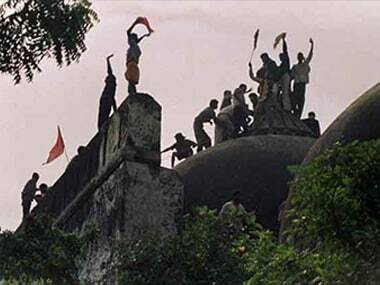 M. Siddiq (the petition for reconsideration of the Supreme Court ruling in Ismail Faruqui) was filed in connection with the ongoing Ayodhya land dispute case wherein the Allahabad High Court decision dividing the Ayodhya land (the site of the Babri Masjid) into three parts has been challenged before the Supreme Court. The Muslim parties argue that the division of land (with two-thirds awarded to the Hindu parties and one-third to Muslims) is not fair; the Muslims argue that the 1994 Ismail Faruqui ruling influenced the Allahabad High Court's division of the land. Hence, the petition for reconsideration of Ismail Faruqui. 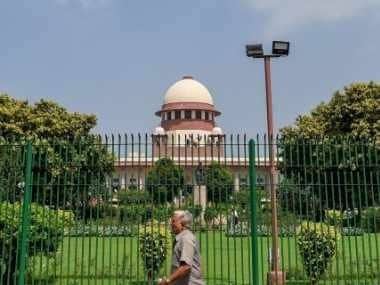 While the Supreme Court in its majority opinion in M Siddiq states that the Ismail Faruqui judgment will not have a bearing on the Ayodhya land dispute case, the dissenting opinion expressed the need to refer Ismail Faruqui to a larger Bench given its relevance to the land dispute case. Irrespective of the majority ruling, the issue of determining what constitutes an essential part of a religion is important in the context of recent developments ranging from the judgment concerning the ban on entry of women in the Sabarimala temple to the triple talaq ordinance. Is mosque an essential part of Islam? Al-Islam.org, a website by the non-profit organisation Ahlul Bayt Digital Islamic Library Project, emphasises the importance of congregational prayer (salat al-jama’ah) as stated in the hadiths (regarded as one of the sources of Sharia law). Unfortunately, there is very little evidence to either confirm or refute the view that a mosque is essential in Islam inasmuch as a Muslim male must offer prayers in a mosque. In Ismail Faruqui, the Supreme Court was of the view that prayers could also be offered in the open and not necessarily in a mosque. According to QuranExplorer.com, praying in a mosque is “not compulsory but highly recommended” for Muslims (except on Fridays when it is compulsory for Muslim men to pray in mosques). Arab News highlights that in Islam offering congregational prayers in a mosque brings the worshipper 27 times more reward than praying alone. 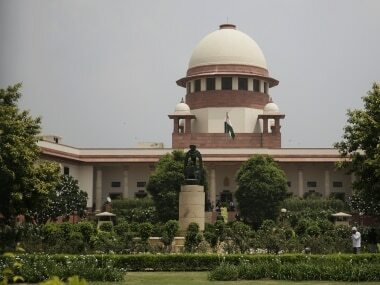 The absence of publicly available information on whether a mosque forms an essential part of Islam highlights that perhaps in Ismail Faruqui too, the Supreme Court did not engage adequately with this issue, prompting Justice Nazeer to dissent from the majority opinion in the instant case. In future, if the court is called upon to adjudicate on this issue, it must apply the test laid down in Shirur Mutt and decide the issue in accordance with the religious doctrines in Islam by considering the views of Islamic scholars instead of giving into populist opinion.